Depression is a major problem in today’s world, according to reports from the World Health Organization. But it is also a major problem within the United States. Depression is a mental condition that affects each person individually and not more so than the male population in our communities. It is a problem that has shown to cost employers billions of dollars annually across each industry field. 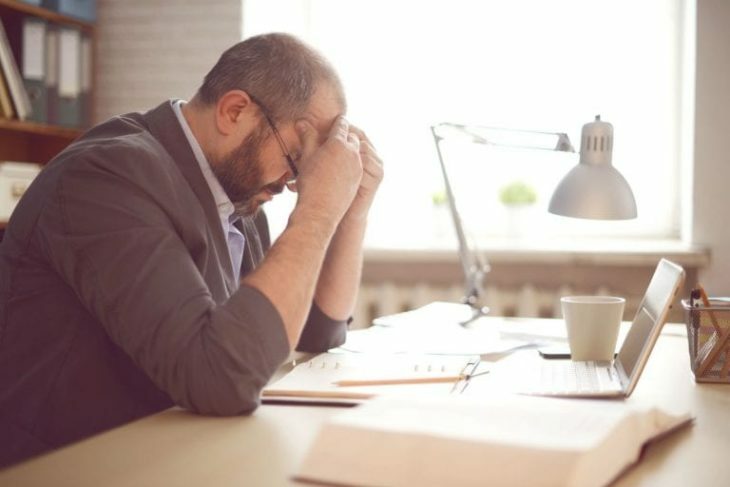 Reasons as to why workers are depressed are many, from poor working conditions to salaries that do not satisfy all their needs, depression is a problem that it seems people cannot avoid it. When someone is depressed it hinders their moral, meaning workers are less motivated to work, subsequently losing employers billions of dollars each year. Depression makes people lose interest during the working hours, and workers who are depressed have been performing much poorly than those who do not suffer from the effects of this mental condition. 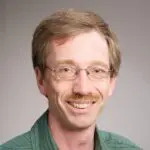 Although the tech industry tends to pay higher salaries than other, recent surveys have discovered that even tech workers, who usually have better work-life balances, are not immune to it. Blind, an anonymous social media platform for the workplace, are doing regular surveys on various topics and subjects. Lately, their users have been talking about burnout, high levels of stress, insomnia, complaining about irregular working hours, and often being forced to overwork. According to the World Health Organization, these are all symptoms of a person who is in some state of depression. Furthermore, these symptoms are the first one to appear when a person is developing depression. One user has posted on an anonymous social network that he feels like he is losing interest in his work, stating that working hard for two years has not helped him feel any better, rather has forced him to feel like carrying a huge burden. Often than not, other anonymous users have stated that they feel as they are worthless and that whatever they do doesn’t seem to matter. These comments were posted by Cisco engineers, so Blind surveyed their community of tech workers. They asked a simple question: “I Believe I am depressed”, and users had to answer with “True” or “False”. The results showed that 38.78% of participants feel they are depressed, while 61.22% answered with “False”. The results were further broken down by companies who have more than 100 of their employees participating in their survey. Out of the 38.78% who answered with “True”, 43.4% of Amazon employees answered with “True”. Microsoft was second on the list with 41.58% of their employees answering similarly. Intel was third with 38.86% which is the last company with more percentage than the overall vote of 38.78%. LinkedIn, Facebook, and Uber employees followed up, and Oracle, Cisco, Google, and Apply finished the list, all coming up with more than 30.61%. 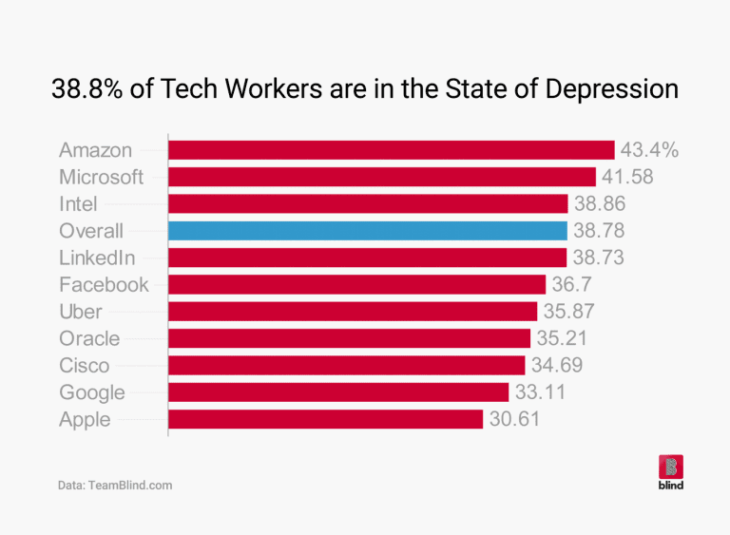 This shows that tech workers despite their higher than the average salaries, and better work environments, as well as, better work-life balances, still are exposed to the damning effects of depression.